If you would like to get a message to Judy's family, please feel comfortable to send an email. Her correspondence agent will be most pleased to get your message to them. 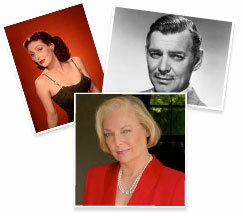 Judy Lewis was born, Judith Young and raised in Los Angeles, the love child of actors Loretta Young and Clark Gable. At the time of her birth, Gable was married, Young was unmarried. Because of the morality clause in both their contracts, Young covered up the fact of her pregnancy, later announcing she had adopted the girl. When Judy was four, her mother married Tom Lewis. Even though Judy carries his last name, he never adopted her. Judy graduated from Marymount High School in 1953. At 17, she was engaged to Russell Hughes, a common man as her grandmother put it. Her family disliked him intensely. She was sent to school in New York for a year. Returning home, she expected to marry the man she loved but, a few years later, ended up marrying Joe Tinney, instead. Daughter Maria was born on November 16, 1959, a few days after her 24th birthday. She moved to New York and began her acting career, landing a small part on "Ponds Theater" (1953). She appeared on Broadway in Jean Kerr's "Mary, Mary", and became a featured performer on a number of daytime series, including "The Secret Storm" (1954) and "General Hospital" (1963). Judy had a successful career behind the camera, as well. 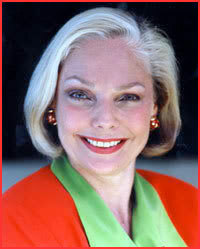 She produced the daytime soap, "Texas" (1980), and also won a Writer's Guild award for her work on "Search for Tomorrow" (1951). In the early 1970s, she and Tinney divorced. 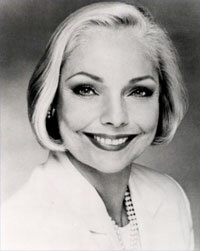 In the 1980s, Judy went on to earn a bachelor's degree and then a master's degree in clinical psychology at Antioch University, Los Angeles. She took a few years off to write. Her first book, the autobiographical Uncommon Knowledge, about her parent's affair and her childhood, made her an acclaimed author. She began working in the field she always was fascinated with: psychology. She received her marriage and family - child counseling license (M.F.C.C) in the early 1990s. She now uses her talent, her love of introspection and her awareness in spirituality to help others. She has one daughter, Maria, and two grandsons, Michael and Gregory. Judy Lewis was in her thirties before she discovered what was common knowledge among the Hollywood elite-that she was the daughter of Clark Gable and Loretta Young. The two had fallen in love while on location filming Call of the Wild-but Gable was a married man and, according to Young's Catholic beliefs and Hollywood's strict moral code, he was off limits. On the brink of mega-stardom herself and terrified that her romance with Gable would ruin their careers, Young gave birth to Judy in secret-later "adopting" her from the orphanage to which she had been sent as an infant. While growing up, Judy, who met "Mr. Gable" once, was never told that he was her father. Set against the backdrop of Hollywood in its heyday, UNCOMMON KNOWLEDGE depicts a world where home movies were filmed by studio cameramen, home was a thirty-eight room house on five-hundred-acre estate in the heart of Beverly Hills, friends were the children of Bing Crosby or Joan Bennett, and getting off a train could be delayed by a mob of fans clamoring to get your mother's autograph. But it is also a story of a lonely little girl who felt she didn't belong anywhere, and who comforted herself by sitting in a dressing room full of her mother's clothes. Hungry for her mother's attention, Judy felt even more excluded after Young's marriage to advertising executive Tom Lewis- a martinet who once said to her two half-brothers, "Judy's adopted. She's not part of our family." 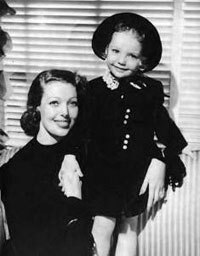 Loretta Young was a controlling woman who had little time for the daughter whom she later described as "a mortal sin" - a child who was a reminder of the one thing she had been unable to control. To this day she has never publicly acknowledged her daughter as her own. Judy didn't hear the truth about her parent until her own marriage, when her husband told her what Hollywood had been whispering about for years. 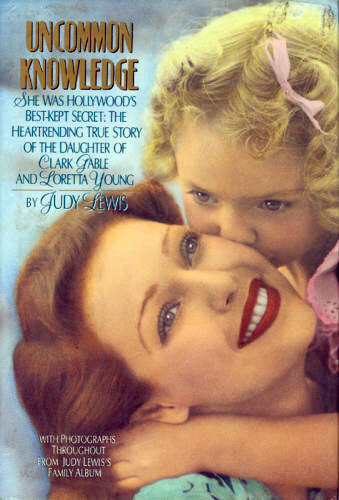 And for years, Loretta Young denied it - until Judy forced an admission that ultimately left the connection between mother and daughter in tatters. Only then was Judy able to claim her father: a man she would never know, except on the movie screen. Uncommon Knowledge joins Haywire and Mommie Dearest as a fascinating behind the scenes memoir of Hollywood in its golden days. A devastating character portrait, it is an engrossing narrative of glamour and pathos, controlling ambition and unfilled longing, loneliness and resolution. It is also the account of a journey of self discovery that was difficult but ultimately triumphant. 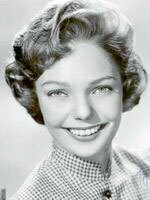 Judy Lewis went on to her own success as actress, producer and writer. She married, became a mother and a grandmother, and she continues to break new ground in her personal and professional life. Here is her unforgettable story. Judy Lewis appeared on Broadway in Jean Kerr's Mary, Mary and was a featured performer on a number of daytime television serials, including "The Secret Storm" and the number one series, "General Hospital." After a successful career behind the camera-where she was a producer for Texas and won a Writer's Guild award for her work on the serial "Search for Tomorrow" - she became a therapist and works as a family counselor in Los Angeles, California.